A weird occurrence happened this week. Some of our favorite folks came over for dinner and chicken time (OK, mostly dinner) and Daisy flirted shamelessly with them. 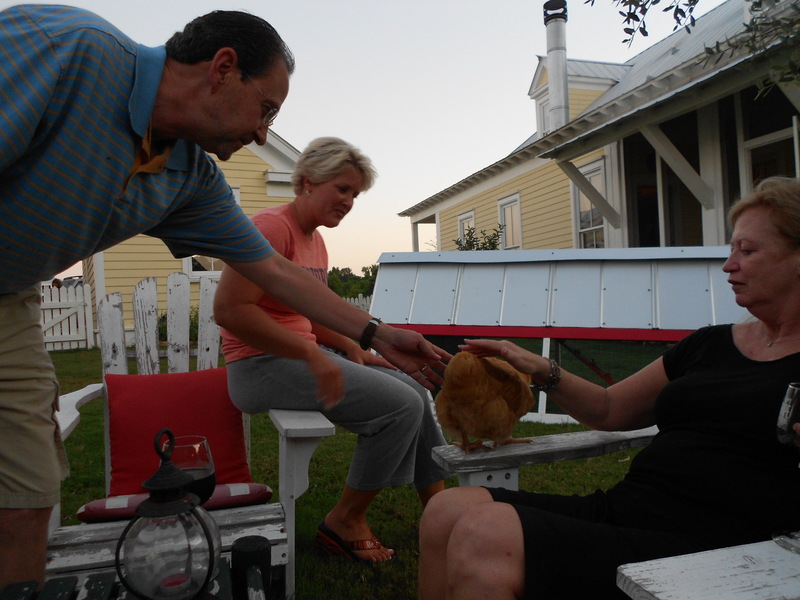 We can usually get the chicks to climb all over us in the back yard if we have treats in our hands but my little Golden Girl came up to meet Susan & Mike without any tempting tidbits. She sat for a very long time on the arm of the chair and let both of them pet her. She even settled down for a while and closed her eyes in bliss. Mike is a handsome devil and Susan is a lovely blonde with hair the same color as Daisy’s. 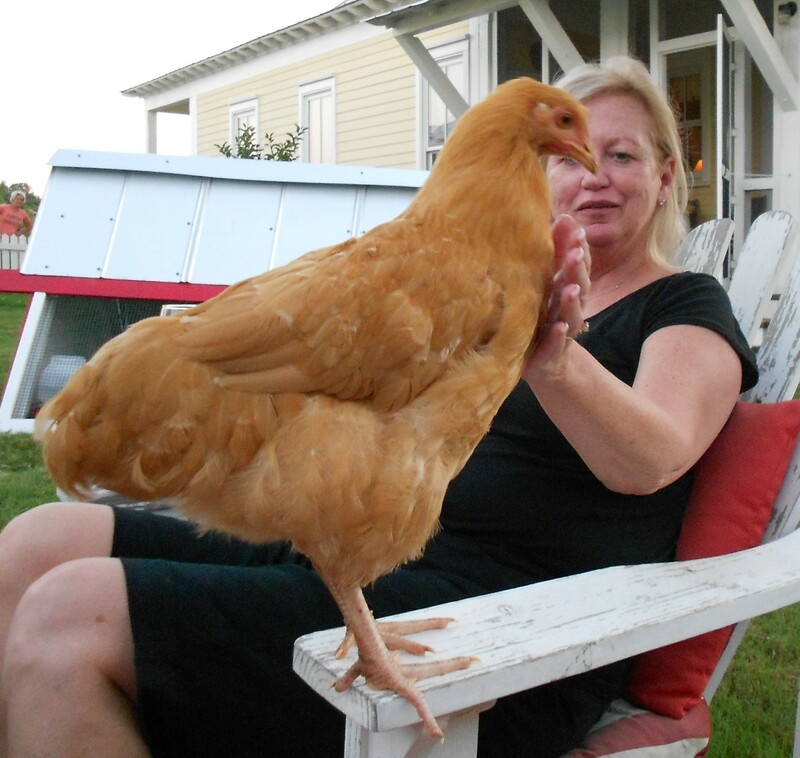 Perhaps Daisy is just a very social girl who likes to meet fabulous folks. Charlotte in the background. Another pretty blonde chick. We’ll never know what goes on in her little bird brain. 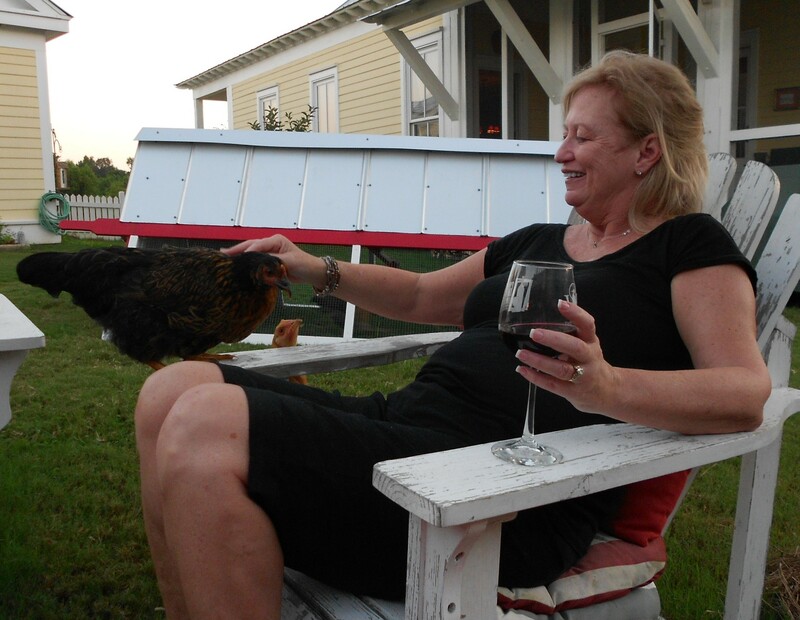 Violet got into the act as well and let Miss Susan stroke her shiny black feathers. 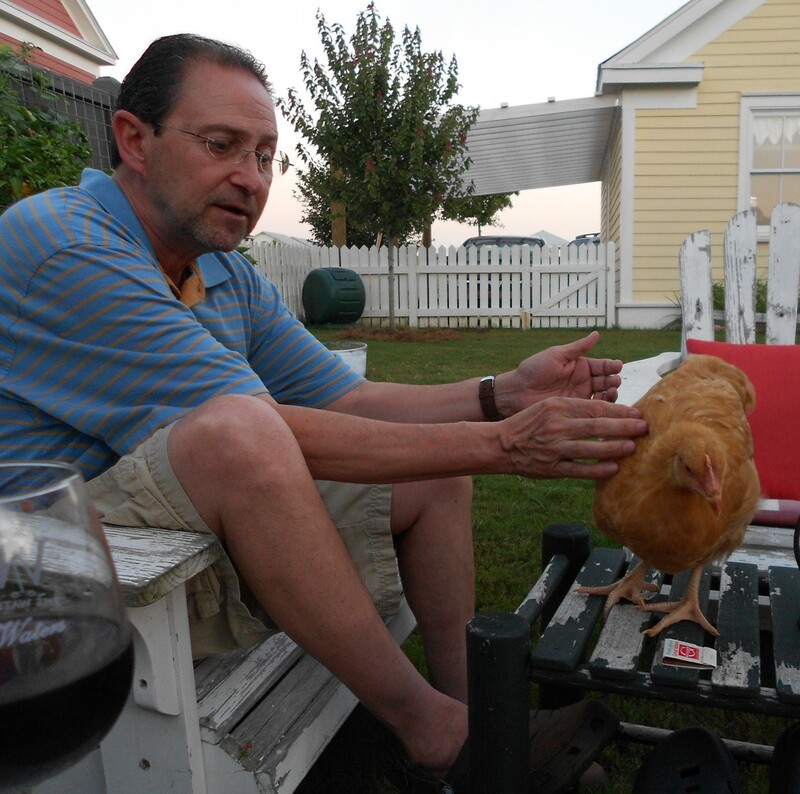 Don’t you drink WHITE wine with chicken? Maybe there was just something in the air that night. Or maybe they just smelled like fermented grapes.